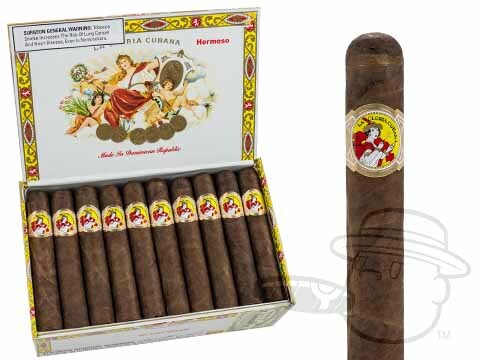 This cigar is basically a smaller version of the La Gloria R Serie. If you like that cigar but don't have the time for a long smoke this is the way to go.Full bodies and consistently good. My go-to daily smoke. Extremely consistent tobacco with variations in the wrapper. Even burning and flavorful; just the right length for a 30-40 minute smoke. I only wish that they all were the same roll tightness, some are tighter than others, and I really hate to have to work to have a smoke. First off, I'm comfortable with my masculinity, so I don't feel the need to smoke a stogie as big around as a fat girl's ankles or as long as... well, you know. That being said, the La Gloria Cubana Hermoso is a 4 1/2 x 48 spark plug that is a consistently rich blend of Dominican and Nicaraguan long-fillers with a consistently even burn packed inside a tasty Ecuadorian wrapper with a consistently smooth draw and a medium-to-full bodied flavor. The Hermoso is consistently consistent. And who wants surprises in their box of smokes? From the first one all the way to the last the Hermoso satisfies with no left over masculine insecurity or liar's guilt. And these are beautiful little cigars. My longtime favorites with nice construction and burn and a wonderful flavor! You can’t go wrong with these; pick up a box of 30(!) today! 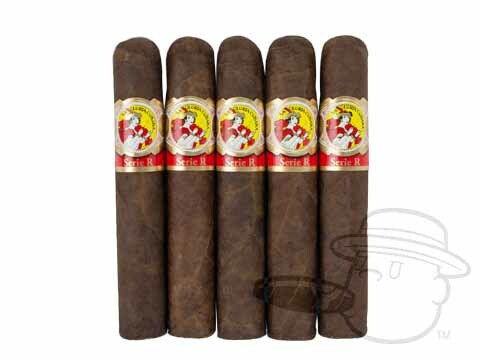 La Gloria Cubana Hermoso Natural is rated 4.6 out of 5 based on 4 customer ratings.